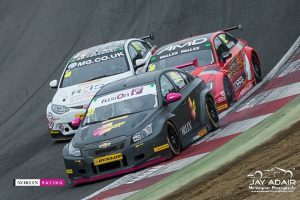 The BTCNorlin team led by Bert Taylor finished their ‘rookie’ season on a high on the Brands Hatch GP circuit. 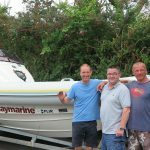 With the highly experienced Dave Newsham and newcomer Chris Smiley, the team exceeded 100pts. 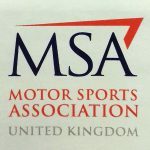 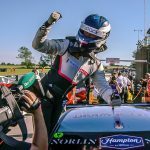 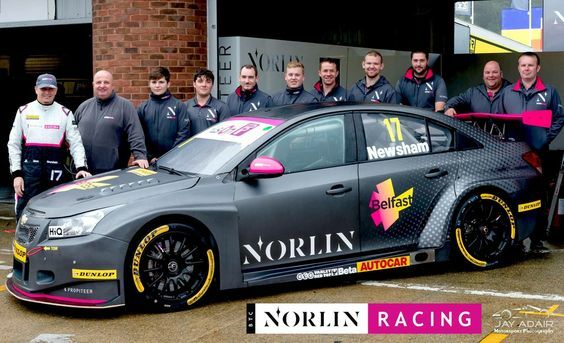 Their performance was reflected in the fact that both drivers were in the top 4 when it came to the Forever Forward award which recognises those who make up positions from start to finish in the 3 races, and that was despite Dave Newsham’s DNF in Race 2. 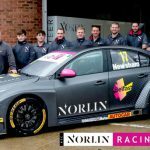 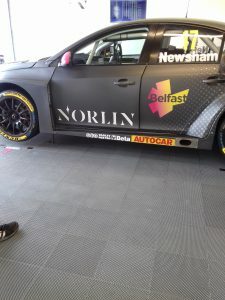 The BTCNorlin team car carry the Varley Red Top logo on the cills either side of the cars.